Without a doubt Japan is now one of our favourite places on the planet. The variety, friendliness and hospitality are met with rich culture, other-worldly architecture and divine food. Being islanders the food part is important and it’s amazing how much food you can lift with two chopsticks! 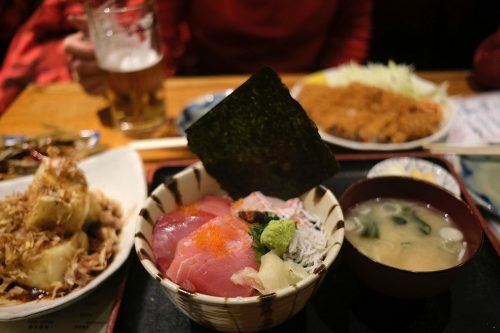 Japan does not disappoint in this department and each meal looks like a gift and tastes like one too. Getting there is easy, my wife found that the visa process for a Fijian was the easiest and quickest to get in Suva (as long as you have a little bit of savings to show), then it’s a 9-hour direct flight to Narita. Once in Japan you are connected with a rail system that is on time, every time. Occasionally you’re in a confused state about where to go, but help is near, just find the nearest Information booth within the station. The staff speak English and can point you in the right direction. We chose to escape Fiji’s brutal heat over the festive season and escape we did. Through friends (actually, an awesome couple whose Fiji wedding we photographed years ago) we were lucky enough to find a tiny fairytale ski village called Nozawa Onsen. Getting there takes 2 hours on the shinkansen / bullet train from Tokyo then an easy 25-minute bus ride from liyama station. The train experience needs a whole post on its own but in short, once you’re settled in your seat any thoughts of catching up on emails or doing anything productive disappears. Although traveling at 260 km/h your mind takes on a peaceful rhythm and it’s hard to take your eyes off the scenery whizzing past. We arrived to Nozawa Onsen in full snow and it was like being on another planet for us islanders. We decided we wanted to experience a traditional Japanese inn and we hit the mark with Tokiwaya Ryokan, a historic inn that’s been in operation for over 370 years and seeped in history. As with Fijian culture, in Japan its customary to remove your shoes before entering someones home including traditional ryokan’s. With slippered feet we were shown to our room and served steaming cups of green tea, a sweet local treat and shown how to put on our yukata / cotton robes. Every morning a traditional Japanese breakfast of rice, miso soup and local delicacies were laid out for us in a private room of the hotel restaurant. The hotel website describes it as “resembling a row of tea houses along a street from a distant past”. That’s exactly how it felt each time we arrived, as if we were stepping back into another time. After breakfast we would return to our room and find our futon mattresses had disappeared only to return again after dinner, ready for a peaceful nights rest. Perfect. Snow is stunningly beautiful, it is also cold beyond words if you don’t have the right gear. We did have to spend a bit to get warm, but what this meant was that every step and moment in the winter wonderland was breathtaking. Everyone craves fresh powder, we got 20 inches of snow one evening and the slopes were perfect. We took our 3-year-old son and wrapped him up well and he thrived in the experience. 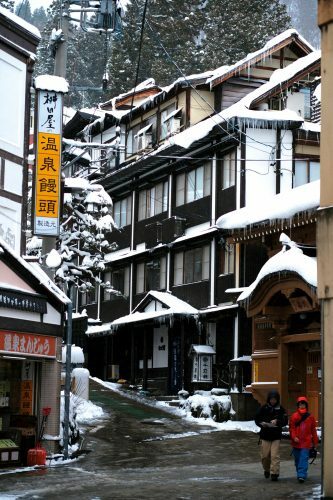 Apart from the snow it’s a whimsical experience just strolling through the village with its traditional Japanese charm. The cobbled stoned streets are narrow and bustling with just the right amount of action, you’ll find souvenir shops, authentic Japanese inns, a few discreet modern hotels, tiny restaurants (look for the red lanterns hanging outside) and our favorite; street vendors selling the most delicious steamed buns. Nothing quite like biting into a steaming pork bun on a cold winters day. Forget google maps and instead explore the tiny township on foot, you’ll stumble across gems you wouldn’t have dreamt of and struggle to forget. 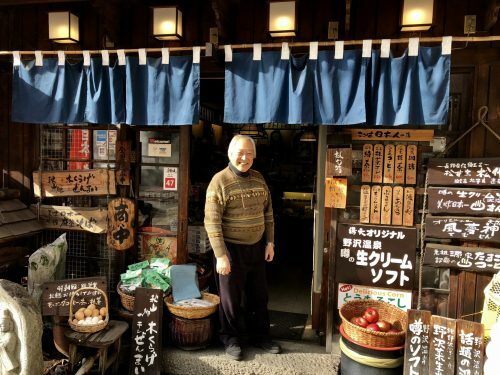 We found a delightful little cafe and ceramics shop run by an elderly couple, the owner talked proudly of his wife’s pottery career as we waited for our fresh corn cooking outside in the natural hot spring. We even discovered that in – 3 degrees, ice cream is a good idea too and smacked that before we walked home with fresh snow swirling around us. Our main mission was to experience snow and watching it come down from the sky above really is like a movie. 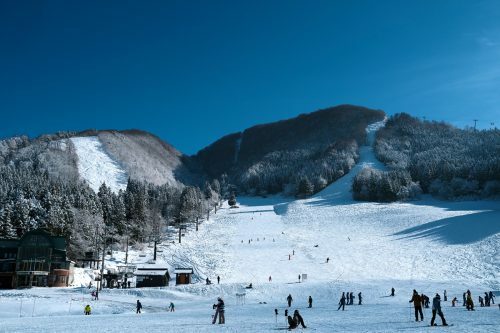 There is so much to do; going for a walk means each step is exciting, snow fights, racing down on a sled, or skii lessons and taking on the slopes filled with fear for first timers combined with adrenaline and raw excitement. After a day in the snow the Japanese have life sorted with hot spring baths. Nozawa Onsen is known for its natural mineral hot springs that flow directly to street level feeding 13 public bath houses dotted around town. To enjoy the experience there’s a bath etiquette you have to follow. Basically, you need to strip down and give yourself a good wash with soap and a cloth before entering the mineral baths. Clothes of any sort in the baths are not allowed. Yes, when you go the first time the fear is real! But relax, thanks to a bit of steam no one can see your legs shaking 😉 Nothing compares to the feeling of soaking in the hot springs after a cold day on the slopes, just imagine feeling the warmth in your bones and your mind totally relaxed. Bliss. 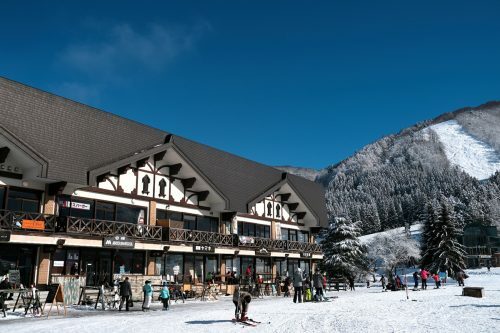 A hot meal and cold beer are just beyond those doors, Hikage slope, Nozawa Onsen ski resort. You’ll soon forget all about being madua….that is until it’s time to get out again. Its an experience you’ll never forget. The way the Japanese can think of everything is staggeringly rewarding. 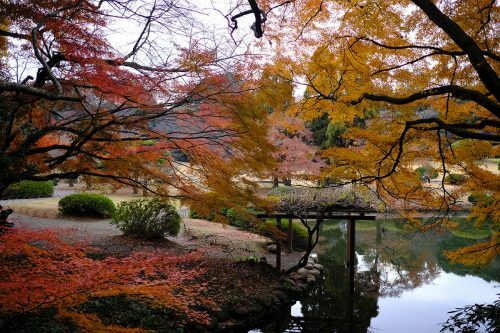 The people are efficient yet polite and in a world where authentic tourism seems further out of reach Japan still retains its culture and identity. Japan is like an endless hug and the whole nation is in on it. *When doing our research we found this website very helpful.